Just days after the Nokia Asha 220 went on sale, the Nokia Asha 230 is also added to the official online Nokia Shop. The Nokia Asha 230, which was unveiled at the MWC 2014, is now available for purchase on the official online Nokia Shop for Rs. 3449. The company’s most affordable phone is available in Bright Red, Yellow, Bright Green, White, Black and Cyan colours and comes with dual SIM support. 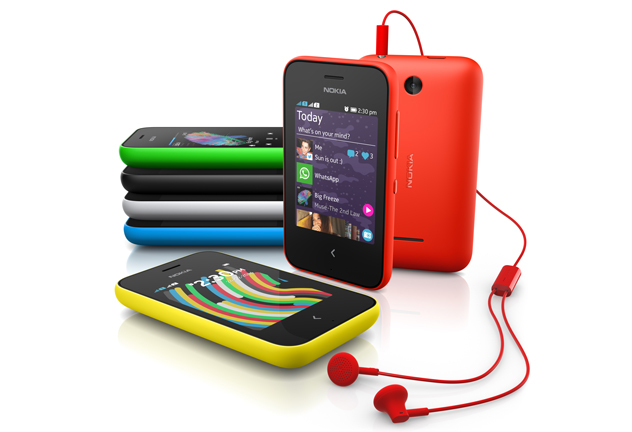 The Nokia Asha 230 has a small 2.8 inch display with 320 x 240 pixels resolution. The device comes with just a mere 64 MB of RAM and 64 MB of internal storage. There is also a 1.3 MP camera. The handset has the latest Asha platform v1.1 with Swipe UI and the Nokia Fastlane features. It also comes pre-loaded with WhatsApp, Facebook, Twitter, LINE and WeChat.